Possibly the first band I’ve written about from Iowa City, Iowa, Emperors Club is four native Iowans and a California transplant, formed in 2010 around songwriting partners and Adam Havlin and Colin Ritchie. 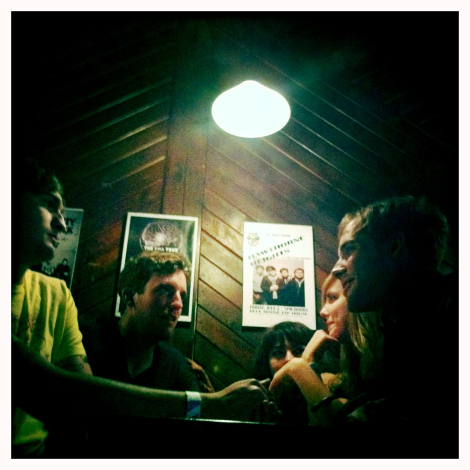 Writing sun-glazed indie pop with “efficient guitar figures, soaring melodies, and taut, driving rhythms”, the band have been writing for their fans. Their first recorded track, “Brooklyn” quickly attracted fans when it dropped on the internet in early 2011. Responding to the positive feedback, the band returned to their home studio and crafted three additional songs, which are all featured on their debut EP, The Castle, released in October 2011 on Iowa City’s Mission Freak Records. Check out “Castle“, just before you watch a little video about the EP.